Yummly is the latest and ultimate cooking place online with millions of recipes. You can save and share your favorite recipes to your so called recipe box. From there you can share the recipe with the entire world! This is what we started now. MyBestGermanRecipes is now connected with Yummly - we don't have any doubts that this is going to be a great connection! 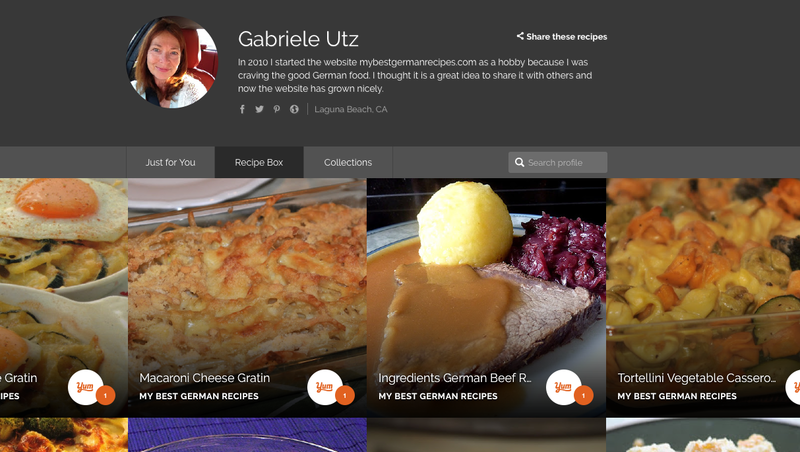 Many of the German recipes will be and can be found on Yummly as well. As the process is done manually it will take a little bit of time until our Yummly board is big. So watch MyBestGermanrecipes.com growing on Yummly. Join us!